otherwise SEN 5241, the excellent British character actor. American Zoetrope (Greek for life-movement and also the name of a primitive movie viewing apparatus) is itself still in swaddling clothes. It is the creation of Francis Ford Coppola, who at 30 has a decade of film-making experience with such pictures as "You're a Big Boy Now," "Finian's Rainbow" and "The Rain People." Coppola, with the generous help of Warner Bros., has set himself up in an autonomous studio in San Francisco which he has turned from an old warehouse into a modern moviemaking plant. Coppola sees Zoetrope as the base for low-budget pictures bearing the personal imprint of the people making them. A dozen young filmmakers are currently toiling in this freebooters' sanctuary on promising projects. Among them is George Lucas, who wrote and directed THX 1138 A longtime friend of Coppola's, he fell into science fiction as a 10-year-old reading Flash Gordon and other supermen comic books. 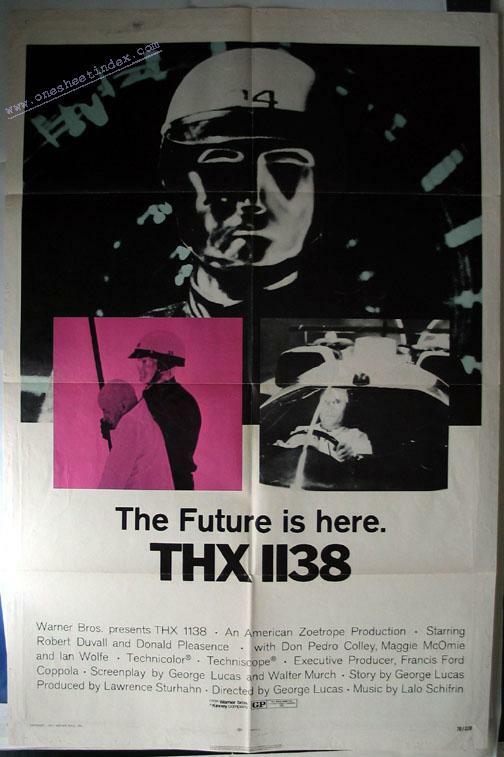 Later, while attending the film school at the University of Southern California, he made a brilliant short called "THX 1138-11B" which won all sorts of prizes and became the basis of his first feature.